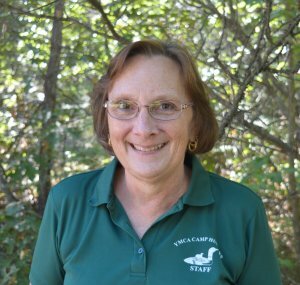 Originally from Maine, Jody began her Huckins career as a camper in the Junior Division in 1970 (and never left!) and she just completed her 49th consecutive summer. Growing up at Huckins nurtured her love for children and she later earned a degree in Elementary Education from Springfield College. 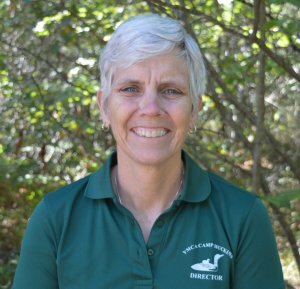 She has had several jobs at camp before taking the helm, including camper, CIT, Counselor, Waterfront Director, Small Crafts Director, Program Director, Leadership Division Leader and Assistant Camp Director. Jody resides at camp year round with her husband and puppy and has two grown children. She enjoys outdoor activities, including swimming, skiing, and hiking and is an active member of the local community and sits on several local non-profit boards. As the Director of Community Outreach, Kara provides many programs for youth and families throughout the community. During the summer, she oversees the 9th and 10th-grade Leadership Program. This is Kara’s 24rd year at Camp Huckins. She began as a camper in 1989 and was a Cabin Counselor in the Senior Division in 1996 and 1997. She returned to Camp Huckins full-time in 2004. She spent two summers as the Waterfront Director and 13 summers as the Leadership Division Leader. Kara holds a B.S. in Occupational Therapy from the University of New Hampshire, where she graduated in 2001. Kara resides in Center Conway, New Hampshire with her husband, 3 daughters, and 2 dogs. She is an active member of the Mount Washington Valley community and sits on several non-profit boards. 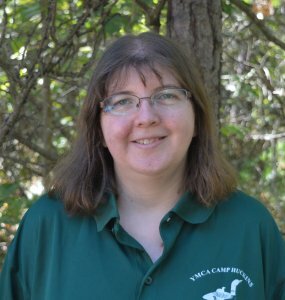 Sue started her career at camp in 1995 as the Registrar and in 2000 became the Administrative Assistant. Sue maintains database and software programs related to financial aspects of camps operation and is our QuickBooks expert! Prior to camp, Sue spent nineteen years in a bank as a Teller, Head Teller, Customer Service Representative and assisting Management. Sue resides in West Ossipee with her husband, Peter. They have three adult children and five Grandchildren who they love spending time with and adore. Angela is typically the first voice you hear when you call the office and the first face you see when visiting. She processes all camp enrollments and assists with the entire registration process. She is an expert with our web-based management software and is eager to answer any questions you have. Angela attended college in Boston. Before joining the Camp Huckins staff in 2001, she worked at a local bank. 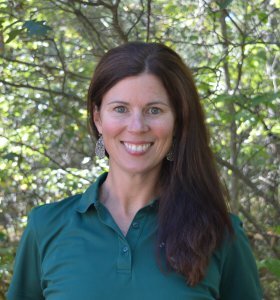 Angela resides in Tamworth, NH with her husband and in her free time she enjoys spending time in the woods and maple sugaring. 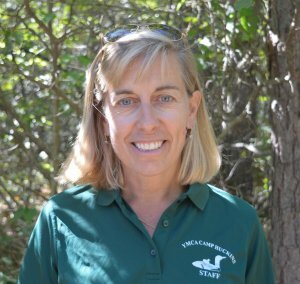 Originally from North Conway, NH, Stephanie has been involved with Camp Huckins as a camper, counselor, staff member, parent, staff-parent, Board member and now a year-round employee for almost 30 years. Stephanie has a BA from Emory University and an MS from Northeastern University. Her hobbies include yoga, walks in the woods and traveling. Stephanie and her husband, John Pier, live in South Freeport, Maine, and have three grown children- Sarah, Eli, and Jay. In 2011, Mike and his wife, Carleen moved to New Hampshire from New Jersey. While in New Jersey, Mike was a partner in the family landscaping business for over 20 years. Mike has three children and two grandchildren. 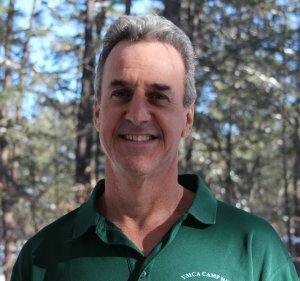 In 2018, Mike joined the Camp Huckins team. When Mike is not working, he enjoys fishing and hunting. Mike currently resides in Madison, NH. Mike has great patience and enjoys working collaboratively with others to problem solve as it pertains to given situations. 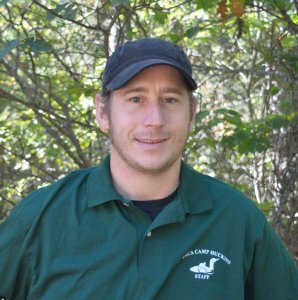 Mike joined the Camp Huckins maintenance staff in 2011. Prior to him joining the Huckins team, he was self-employed in the property maintenance business for 30 years. Mike lives in Effingham, New Hampshire with his wife, Sandra. When he is not fixing or building things, he enjoys traveling to warmer climates. Joel celebrated his Huckster summer in 2017. 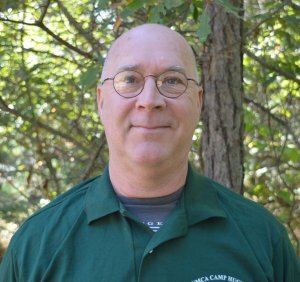 Joel came to Camp first as husband to Smackie, Senior Division Leader, and then became Food Service Director in 2013. Prior to joining the Camp Huckins staff, he spent 15 years cooking professionally in many venues from restaurants to private schools, from Maine to Florida. A native of New Hampshire, he resides in Freedom with Smackie and their three children. He is constantly looking for ways to get youth excited about real food, not just “kid” food, as well as ways to get local food onto our plates at Camp. Grace has spent 11 summers at Huckins. 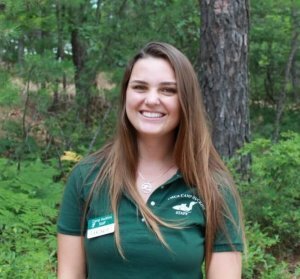 Sadly, she will not be returning as a member of the summer staff but is thrilled to stay connected to Huckins as our first Virtual Social Media Intern. In June 2018, Grace will graduate from UCLA with a major in Geography and Environmental Studies and a minor in Education Studies. She will be headed to Baltimore, MD to teach with Teach for America. Grace’s hobbies are sailing, hiking and exploring!